We offer quality Net Fabrics to our customers, which have intricate work on them and are provided by us in diverse designs. Reckoned by our customers for their striking features such as high tear strength, these net fabrics can be bought from us at market leading prices. Available in different colours and designs, these net fabrics are dye able and trendy. We offer wide range & superior quality of Shantung Fabric which are used extensively for fabricating soft furnishing. Shantung fabric is an elegant and smooth touch fabric which can be availed as per your color choice. We have for our clients an array of non woven fabrics that come in different colors. These fabrics are available in a wide variety that come in a variety to suit the variegated needs of the industry. We offer a resplendent array of cotton fabrics, which are available in a wide assortment of colors, shades and patterns. These cotton fabrics are fabricated from best quality cotton to ensure high durability and softness. These high quality fabrics are used in the manufacturing of garments, apparels and other similar products. 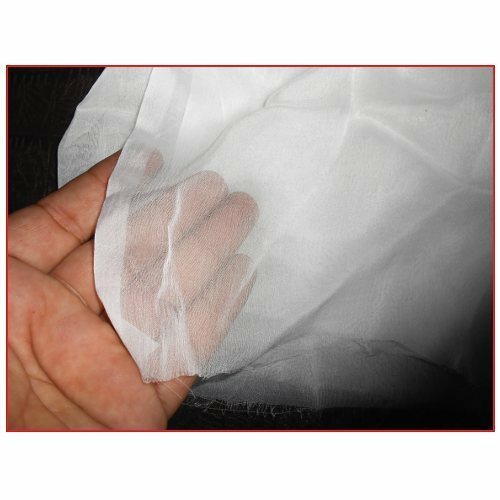 We are one of the top most manufacturers and suppliers of Chiffon Fabrics. These fabrics are crafted using fine quality yarns at our manufacturing unit. We have hired a team of highly skilled and experienced professionals for manufacturing our range. Our range is suitable for designing and stitching a wide array of garments.